Art Central, presented with Lead Partner United Overseas Bank (UOB), announces highlights from its exhibitor programme for its fourth edition, to be staged on Hong Kong’s Central Harbourfront from Tuesday, 27 March to Sunday, 1 April 2018 (VIP Preview / First Night on Monday, 26 March). Art Central is recognised for presenting progressive art that challenges the boundaries of contemporary art, and the upcoming Fair will showcase young and dynamic artists alongside the highest quality work by established names. 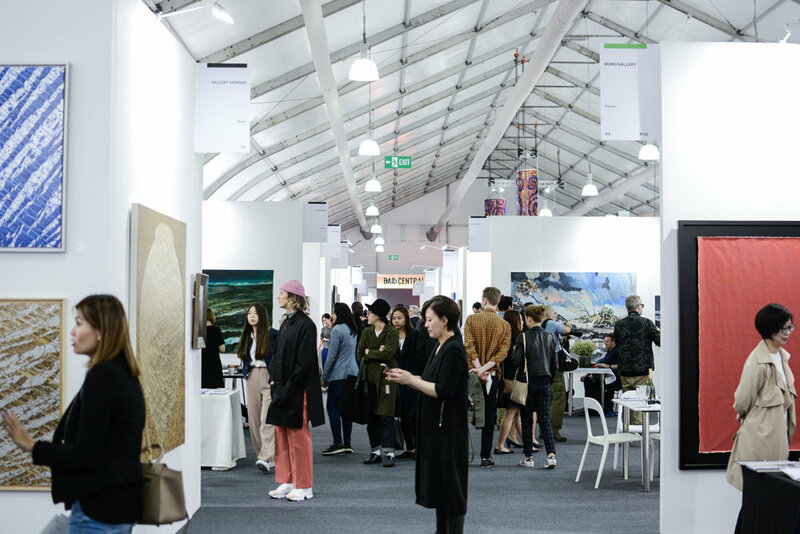 Building on the success of the third edition, the 2018 Fair will continue to foster discovery and discourse over an extended period of one week. This year, the fair will remain open until Sunday, 1 April, welcoming collectors to join a full weekend of art. Presented for the second year with Lead Partner, UOB, Art Central demonstrates a shared commitment to developing the local art scene in Hong Kong and encourages cultural inclusion of the wider community through outreach partnerships with local schools across the territory. Art Central will return with 102 international galleries, with 30 new galleries joining the Fair for the first time. 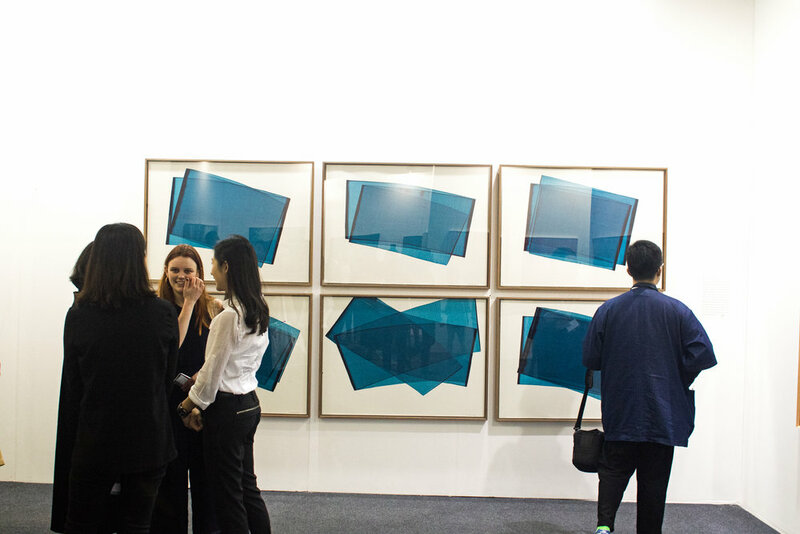 Maintaining the fair’s strong regional identity, over 75% hail from the Asia-Pacific and are set to showcase the best of Asian contemporary art practices. Modern and contemporary art from South Korea comes to the fore with Gallery Hyundai’s (Seoul) presentation. The showcase will offer historical material from Dansaekhwa figures such as Chung Sang-Hwa and Kim Tschang-Yeul in addition to renowned contemporary forces including painter Minjung Kim and photographer Myoung Ho Lee. Acclaimed multimedia and installation artist Tony Oursler will be presented alongside the multi-disciplinary artist Not Vital (Galerie Forsblom, Helsinki, Stockholm), both artists have been recognised for shifting the audience experience of art in the 21st century. Important and canonical artist of Japanese movement Gutai will be on view at Whitestone Gallery (Hong Kong, Tokyo, Nagano, Taipei). The works of founding members Shozo Shimamoto, Atsuko Tanaka, and Sadamasa Motonaga will be shown. In addition, blue-chip Japanese contemporary artists Yayoi Kusama and Yoshitomo Nara will be presented. A seminal figure of post-war art, Yves Klein will be presented alongside Jesus Rafael Soto and Fernando Zobel (Galería Cayón, Madrid, Manila). The blue-chip artists have a strong secondary market and are increasingly sought after in Asia. Renowned Chinese artist Lv Shanchuan and Li Hongbo will be exhibited by Contemporary by Angela Li (Hong Kong). Li is known for his popular expendable paper sculptures and carved knife sculptures which embody tales inspired by the traditions of Chinese culture. Concurrently Lv comments on current affairs with his textured canvases built from newsheets and impastoed paint. Hiroshi Senju (Sundaram Tagore Gallery, Hong Kong, New York, Singapore) is internationally renowned for his monumental landscapes, created in the traditional nihonga style of painting, that uses pigments made from minerals, ground stone, shell and corals suspended in animal-hide glue. His works are in the permanent collections of The Metropolitan Museum of Art, the Los Angeles County Museum of Art and the Museum of Contemporary Art, the Asian Art Museum (USA); and widely across Japanese institutions. In parallel the rising Singaporean painter Jane Lee will be exhibited, ahead of her 2018 solo exhibition at the Hong Kong Arts Centre. The kinetic sculptures of Choe U-Ram will be the focus of Metaphysical Art Gallery’s (Taipei) booth. Informed by biology, mathematics, robotics and engineering, Choe’s mechanic sculptures were recently showcased in a major solo exhibition at the National Taiwan Museum of Fine Arts. Pharmaceutical sculptures by Damien Hirst (Paul Stolper, London) from his 2014 ‘Schizophrenogenesis’ series will be presented. A riff on the perception of concept of reality, medicine bottles, boxes, ampoules, syringes, scalpels and pills are fabricated in disorienting scale. Liu Bolin is most well-known for his chameleon like self-portraits in which his painted figure disappears into the environment. Danysz Gallery (Paris, Shanghai) will bring a large-scale installation, "When you see me I see you” (2017), by the artist to the Fair. Comprised of a complex circuit of screens, webcams and wires, the work provides Liu’s commentary on the pervasiveness of electronic elements in society, whilst also placing his own practice within the art historical context of China. Blue Lotus Gallery (Hong Kong) will present acclaimed filmmaker and photographer Wing Shya’s “Sweet Sorrow” series. A photographic ode to the desolate human condition, the works read as a techni-colour love letter to the city that raised him: Hong Kong. Also exhibitied will be a collection of unique collaged work from during his first film collaboration with Wong Kar Wai: “Happiness”. In addition portfolio sets of film stills made on the set of “In the Mood for Love” will be on available. The mixed media installations of Pannaphan Yodmanee (La Lanta Fine Art, Thailand) explores samsara, the Buddhist conceptions of rebirth, re-evaluating its philosophies in the contemporary age. She was most recently featured in the Singapore Biennale 2016, was awarded the 11th Benesse Prize, and will receive a commission to create a work for the Benesse Art Site Naoshima. Hou Chun Ming (Mizuiro Workshop, Taiwan) deconstructs the notions of patriarchy, spirituality, and eroticism in Asian culture. His graphic and print works have been shown widely across the globe in the Busan International Biennale (Korea), The Venice Biennale (Italy), Yokohama Museum of Art (Japan), and more. Mulyana (Art Porters, Singapore) produces colourful soft sculptures inspired by marine life. The artist experiences the act of knitting or crocheting as a form of meditation and prayer. His pieces begin their lives like small organisms, the modules slowly blooming with quiet contemplation into vividly coloured clusters. His signature yarn works were recently featured in the Singapore Art Museum.